Coconut and Cilantro Chutney rather known as Biriyani Chammanthi is normally served as the side dish for Malabar Chicken Biriyani. 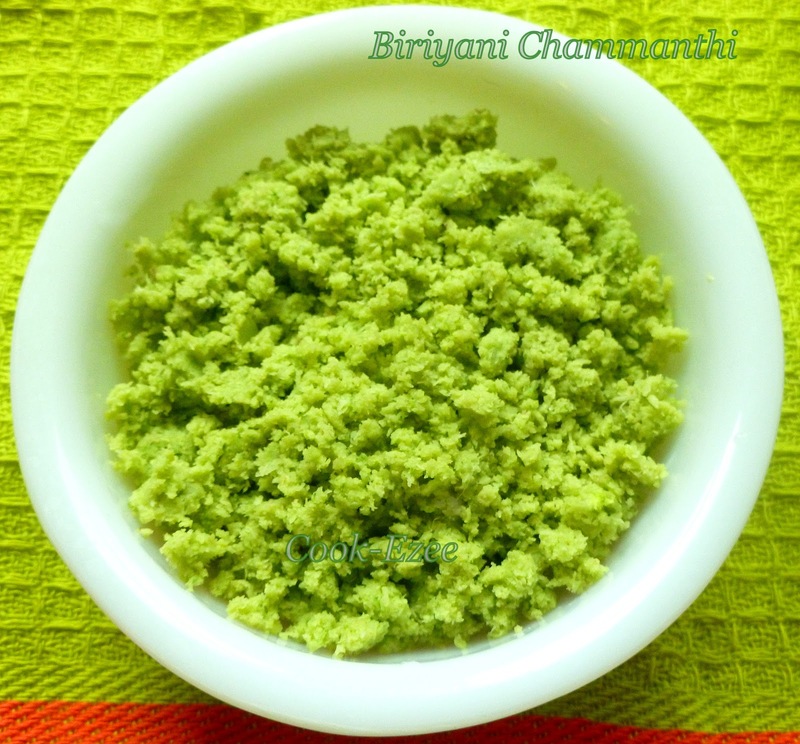 Its quite simple, perfect for Biriyanis or any flavored rice. Normally this is made without adding much water or Yogurt/Curd to make a dry chutney but you can add yogurt or water and alter it according to your taste. Try it out and Enjoy!!!!! Combine all the ingredients except water and grind. Add water little by little just enough to grind. 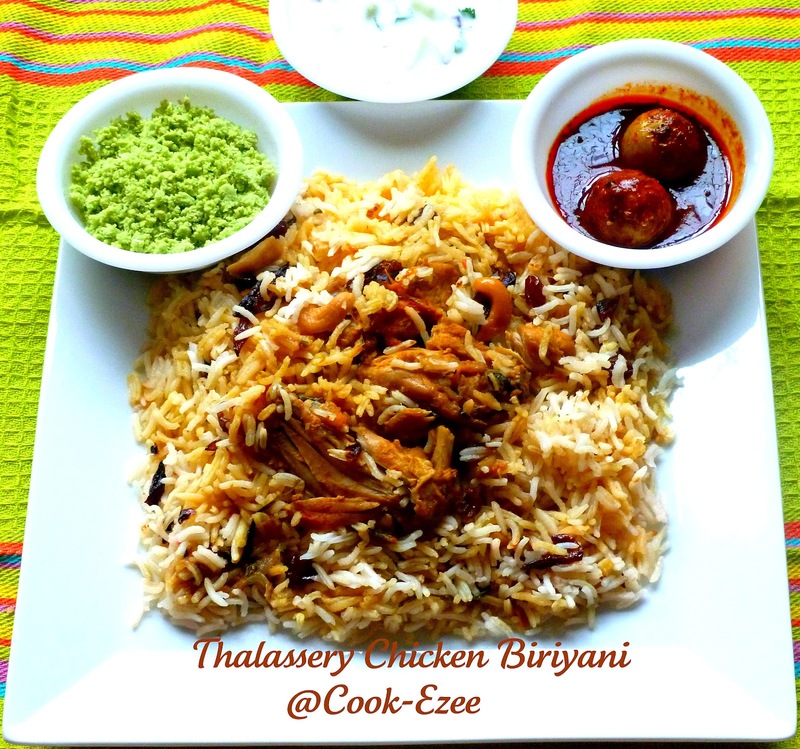 Serve with Biriyani's and any flavorful rice. Delicious n flavorful chutney, perfect side dish. I have heard a lot about this Calicut speciality chammanthy, Prathibha! So nice to have found the recipe here! Definitely will try, it looks so yummy!!! There is an award waiting for you at my space. do collect it. Biryani chammanthi, kollam, i will cilantro chamanthi like this but not dry it is liquid y. Biriyani looks awesome delicious. This dry version looks nice.lovely colour..
Quite an interesting side dish for briyani, never thought of serving chutneys with briyanis, btw cant take my eyes from ur last click,inviting platter. yum chutney, never made this way. 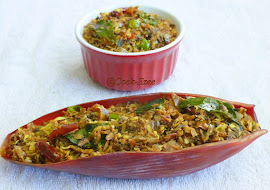 This is so new, as a side with briyani, very interesting..
perfect side dish for biriyani...nice one.. I've never eaten biriyani with chamanthi but have heard a lot abt this combo...wud definitely want to giv this a try....lovely clicks as well. 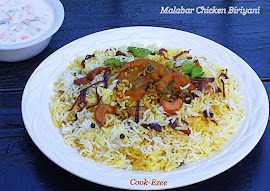 We make this chammanthi with yogurt, certainly elevates the taste of the biryani. Thanx for sharing..!